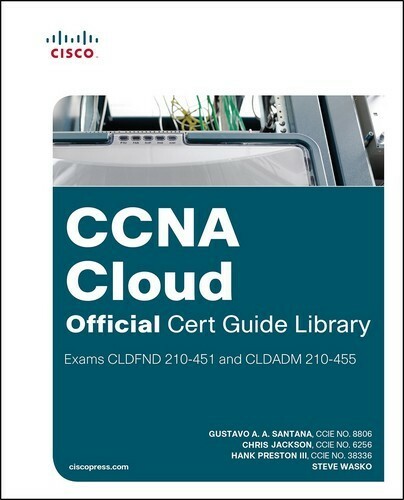 CCNA Cloud CLDFND Official Cert Guide is a comprehensive self-study guide that provides a thorough coverage of all topics from the exam’s blueprint. The book explores concepts, features, and designs to provide an adequate understanding about cloud environments and their particular infrastructure requirements. It also follows a logical order and practical approach, both designed to offer the reader a gradual and rich experience. At first sight, both CCNA Cloud and CCNA Data Center certifications may appear to share a considerable number of topics related to Cisco Data Center portfolio. However, this book presents these products and technologies through a “cloud perspective”, highlighting how these solutions fulfill basic cloud computing requirements, such as automation and standardization.